1. Public cloud services revenue in India is forecast to touch US$731 million by the end of 2015, growing more than 31 per cent over last year, according to research firm Gartner. High rates of spending on cloud services in India to continue through 2019 when the market is expected to reach USD 1.9 billion. 2. Former world number one Lee Chong Wei of Malaysia clinched his third French International Badminton title with a win over Taiwan's Chou Tien Chen. Lee also won this title in Paris in 2007 and 2011. 3. Leading Chinese online and mobile commerce company Alibaba signed a Memorandum of Understanding with UK Trade and Investment (UKTI) with an aim to help British businesses to operate sales on Alibaba's popular China B2B e-marketplace platform. The Memorandum of Understanding will see Alibaba help British companies join the 1688.com trading platform -- a Chinese wholesale e-marketplace. 4. 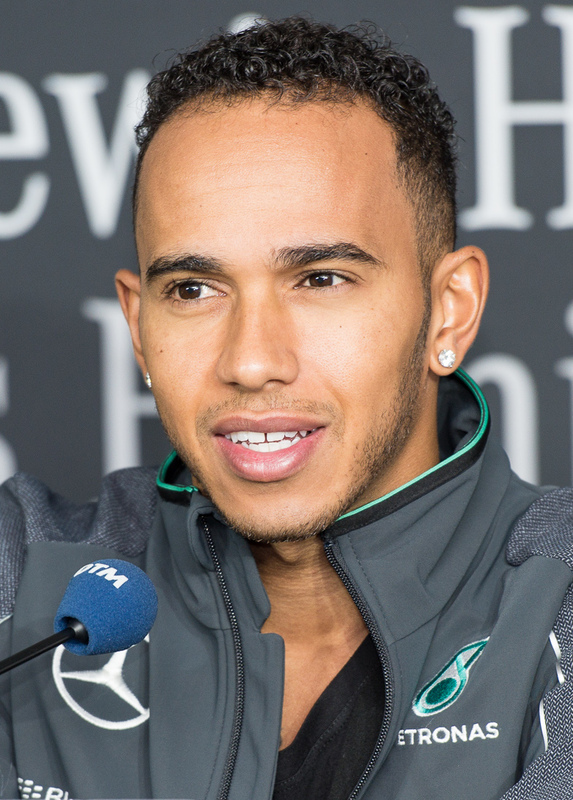 Mercedes driver Lewis Hamilton won the Formula 1 United States Grand Prix title. In the final race, while his team-mate Nico Rosberg of Germany stood at the second position, Ferrari driver Sebastian Vettel (Germany) was at the third. 5. In a landmark decision, the Ministry of Defence has approved the induction of women into the fighter (Combat) stream of the Indian Air Force (IAF). The first women pilots would be selected from the batch which is presently undergoing flying training at Air Force Academy, Hyderabad. After successful completion of associated training, they would be commissioned in the fighter stream in June 2016. Thereafter, they would undergo advanced training for one year and would enter a fighter cockpit by June 2017. 6. Zimbabwean President Robert Mugabe has been awarded 2015 Confucius Peace Prize by China. He has been chosen for this edition of prize for his inspirational leadership and service to pan-Africanism and African independence. 7. The 3rd India-Africa Forum Summit begins in New Delhi. Heads of States and Representatives of all 54 African countries will participate in the 4-day event. Both the side will discuss several economic, culture and political issues like green technology, blue economy, space technology, education , health-care, peace and security, food security and connectivity. 8. Ireland's movie star Maureen O’Hara who appeared in classics ranging from the “How Green Was My Valley” to “Miracle on 34th Street” passed away. She was 95. 9. South Africa defeated India by 214 runs in the fifth and final one dayer at Mumbai to register the first ever bilateral ODI series win on Indian soil. De Kock was adjudged man of the match, while Ab DeVilliers was named player of the series. 10. Indian archer Abhishek Verma created history by winning a silver medal in the 2015 Archery World Cup Final held in Mexico City. With this, he became the first ever Indian to bag Archery World Cup Final medal.